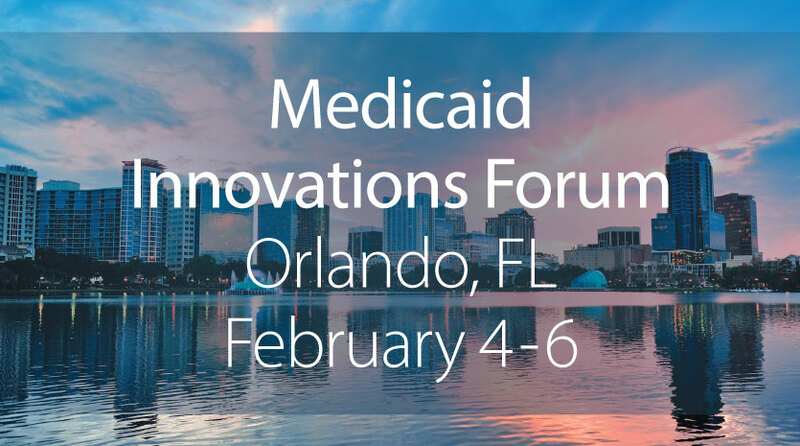 Don't Miss the MTM Team at the 2019 Medicaid Innovations Forum - MTM, Inc.
Once again, the MTM team is excited to exhibit at this year’s annual Medicaid Innovations Forum. Catch us at booth #5 from February 4 – 6 to learn more about how MTM can help your Medicaid managed care plan expand coverage, improve quality, and control costs. While you’re at the Forum, don’t miss Phil Stalboerger, MTM’s own Vice President of Public Affairs, speaking on an engaging panel titled “Improving Care Transitions Between Settings to Reduce Avoidable Readmissions that Improve Outcomes.” You’re sure to leave with innovative ideas on how your managed care plan can reduce readmissions and improve the health of your members. Phil’s panel will take place on February 6 at 9:20 a.m.
About: In the past ten years, the Medicaid Innovations Forum has convened over 3,200 Medicaid professionals in an environment that promotes valuable information sharing and networking for all. Last year’s event had over 250 participants in attendance, comprising C-level, Vice Presidents, and Directors from health plans and state agencies. This highly anticipated annual event offers a unique combination of forward-thinking perspectives, first-hand case studies, and examples of true innovation from both Medicaid managed care plans and state government agencies.